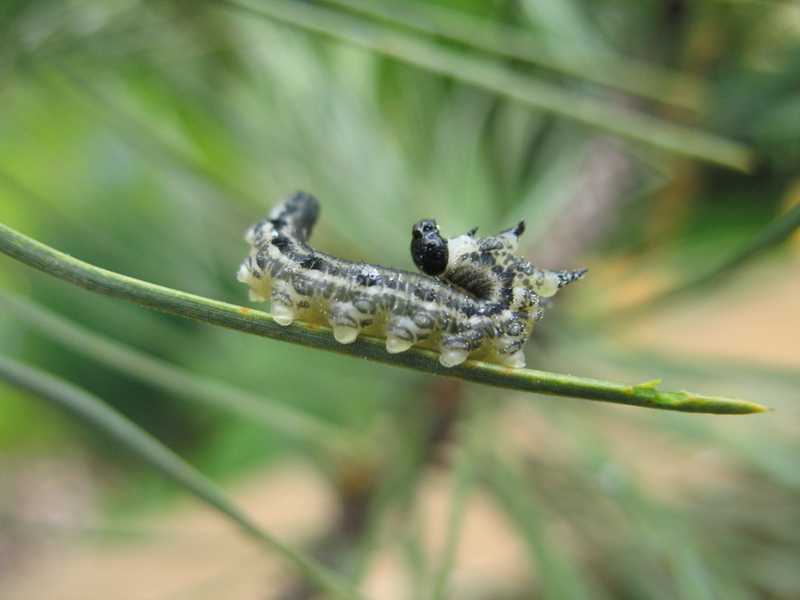 Sawfly larvae are often confused with caterpillars but it is important to distinguish between them as controls that work for caterpillars may not be effective against sawfly larvae. Most commonly sawfly larvae are found feeding on foliage but some also bore or mine into stems, trunks and leaves. Following are the two most important categoies of sawflies, which are pests of plants.